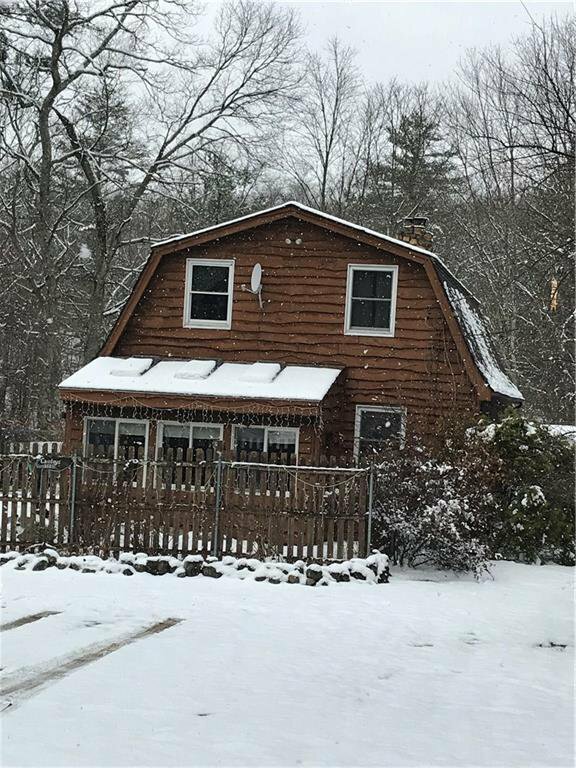 Rustic Gambrel styled home on very private lot. Home has lots of woods finishes including hardwoods, updated kitchen with Corian counters, wood stove, and some new windows. Fully applianced, needs cosmetic updates. Property sits on 1.97 acres. This is an estate sale subject to probate court approval. Listing courtesy of COLDWELL BANKER RESIDENTIAL BR. Selling Office: RE/MAX Properties.